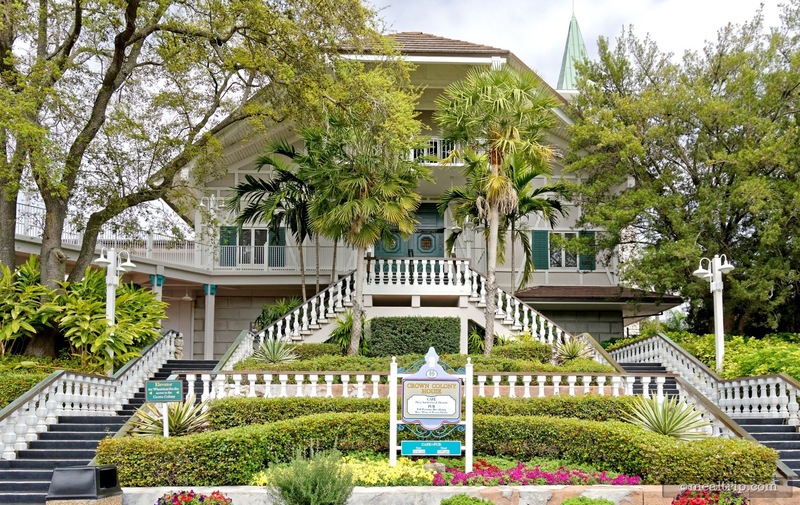 The Crown Colony House building was constructed in 1964 and originally named the “Old Swiss House”. 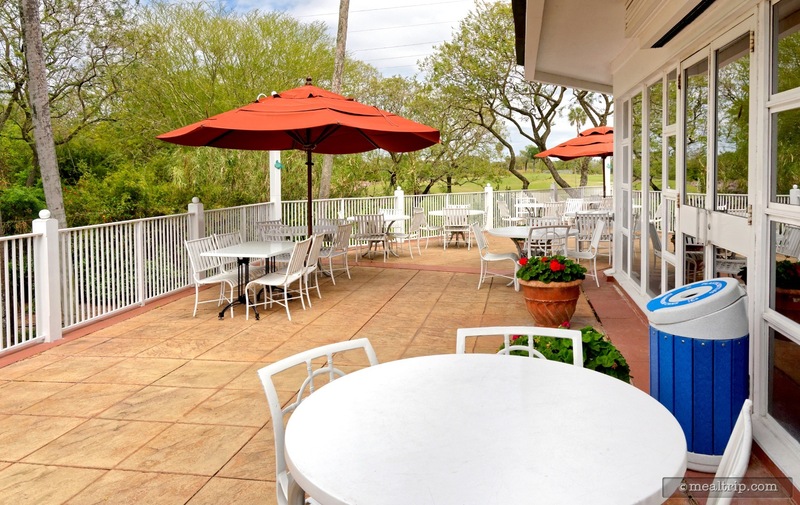 It had been at that time, one of the first full service, in-park restaurants and in certain foodie circles, one of the best fine dining establishments in Tampa. 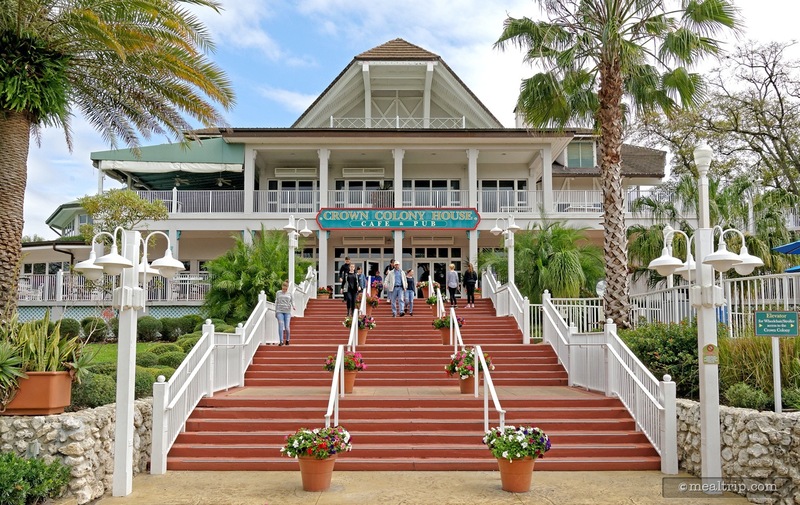 While the building itself has been used for many things since then, it is now a counter service type of restaurant, serving food that is somewhat nondescript and available in almost every other eatery throughout the park. 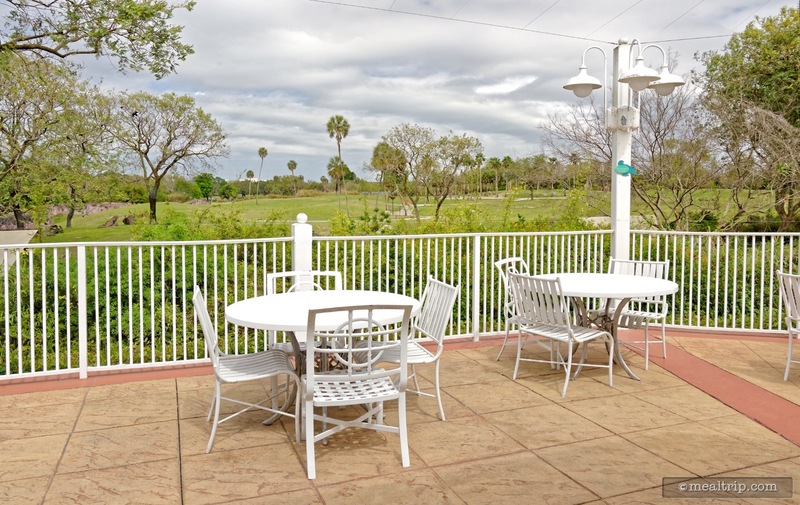 The very upper levels of the building are often closed to the public, but ample seating has been added on the outdoor patio that wraps around much of the building. The turkey wrap was enjoyable but the french fries were perfect. 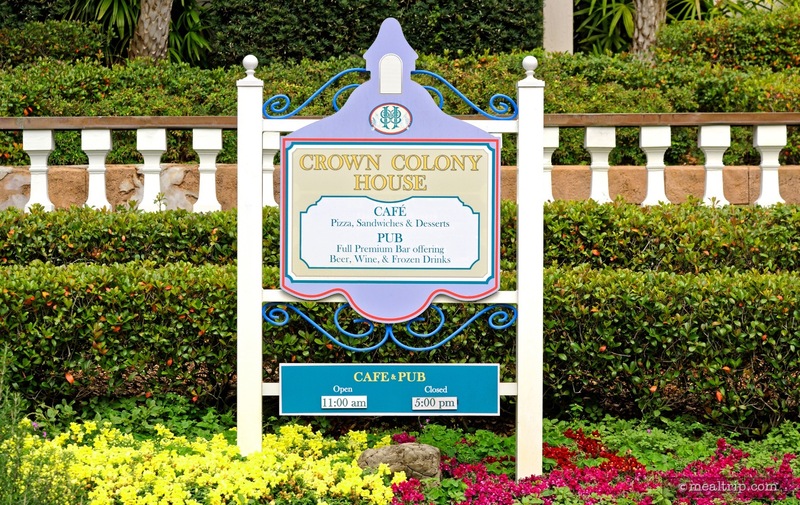 I stopped in the old Crown Colony House the other day for a quick Turkey wrap and fries. 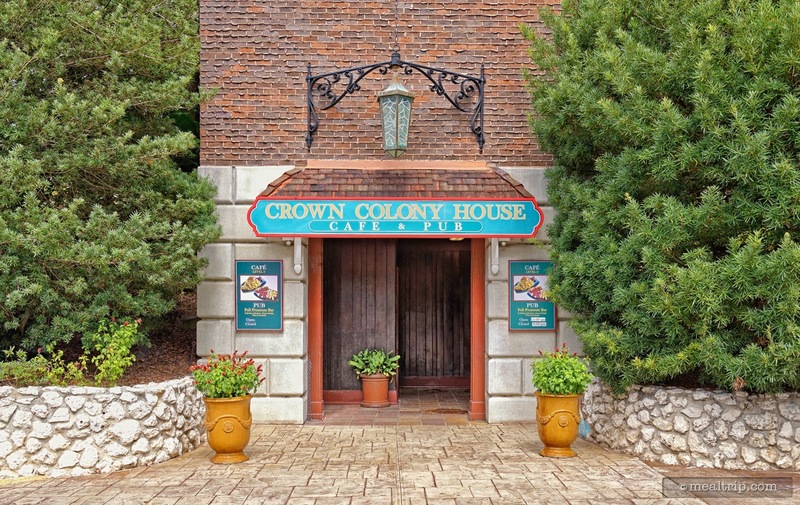 Like most of the dining locations at Busch Gardens, Crown Colony served up good, solid counter service food. 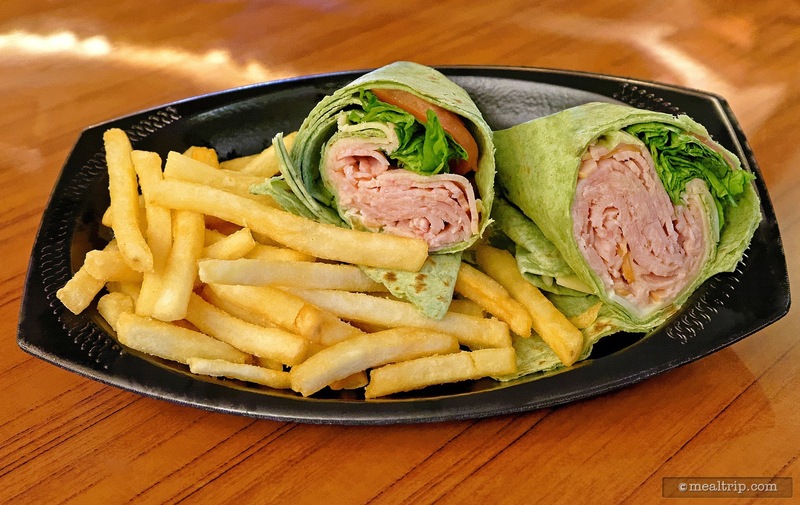 The turkey, cheese, and vegetables in the wrap were fresh, and the fries were hot and perfectly fried, crispy and golden on the outside, and soft on the inside. I do remember seeing the place as the Old Swiss House though, years ago... and wish there were a few entrees that paid homage to the historic restaurant. A cup of Swiss Cheese Soup with a hint of Kirsch or the Beef Stroganoff dish... anything that might give guests the smallest glimpse into what this place once was. 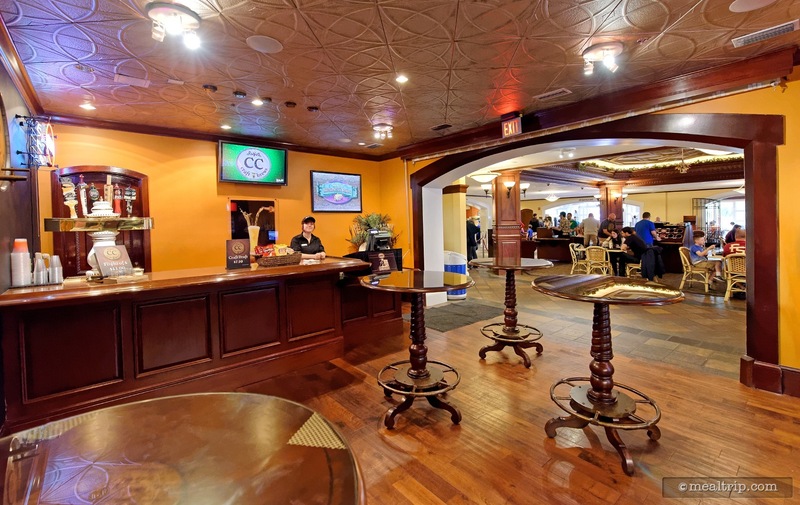 The lines can get long here during peak dining times, but if you catch it just right, the outside and inside dining areas can be somewhat relaxing, for a counter service location. There's actually more seating than what it might seem like at first. There are rooms that wrap around the central dining, order and pickup area. 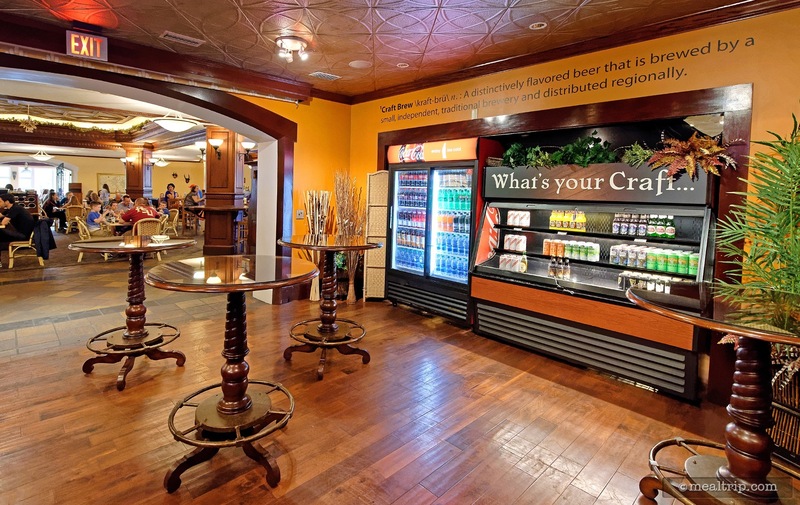 There's also a small craft beer pub off to the side where there are a few beers on tap. That in itself is unique for a theme park location, but they're not terribly interesting craft beers, for a beer aficionado. 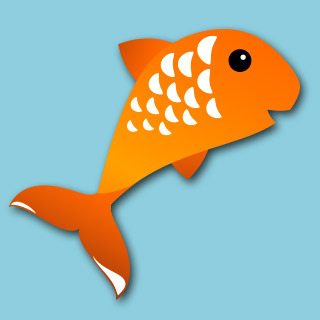 Which again, seems like a missed opportunity considering the park's heritage. All in all, a good counter service location that used to be so much more. 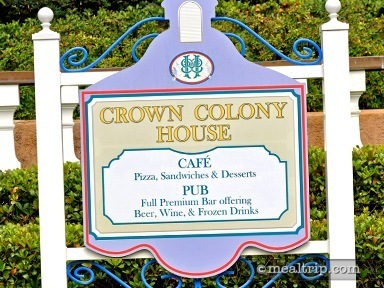 Because I choose to believe that theme park guests are increasingly looking for better and more diverse food options, the Crown Colony House also gets my vote as a location that holds the most promise for the future. I would dearly love to see the old gigantic house turn back into a full service, fine dining establishment. You could almost copy the old menu letter for letter and have a really unique, retro look back into what had been one of Tampa's finest restaurants.